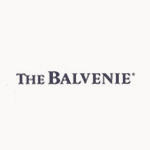 Balvenie Distillery is located in the Convals in Dufftown, within the Speyside region of Scotland. It shares a water source with neighbouring distillery, Glenfiddich, and it practises a very traditional method of whisky making. Balvenie is also one of the few distilleries left that grows and malts its own barley, and has its own maturation warehouse, aptly named, warehouse 24.